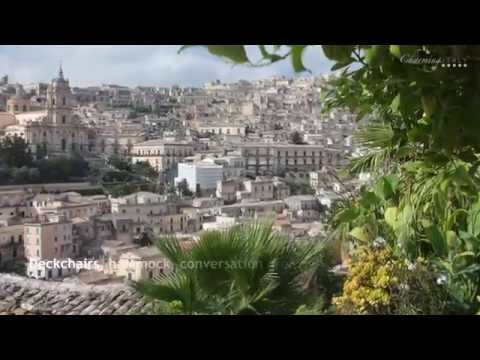 Discover Matera: Why should you put a visit to Matera on your to-do list? Why should you put a visit to Matera on your to-do list? Italy is home to the largest number of UNESCO World Heritage Sites in the world, with a great selection of them down in southern Italy. One of the most fascinating UNESCO sites is undoubtedly the Sassi of Matera; the stone houses which are located in the rock face of this stunning part of the Basilicata region. 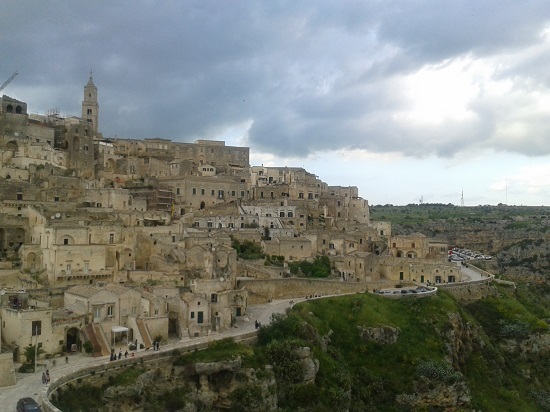 The settlement of Matera dates back to prehistoric times, when the natural caves here were inhabited and then extended, to make dwellings for large numbers of people. Matera is actually Italy’s oldest continually inhabited settlement and is made up of two ‘districts’; Barisano and Caveoso. 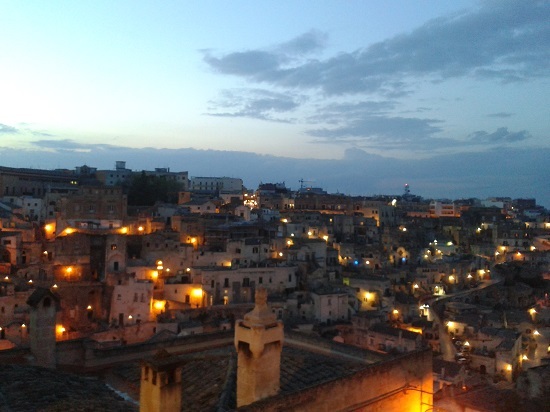 While Matera is now a beautiful and fascinating place to visit, life was not always so peaceful and comfortable here. 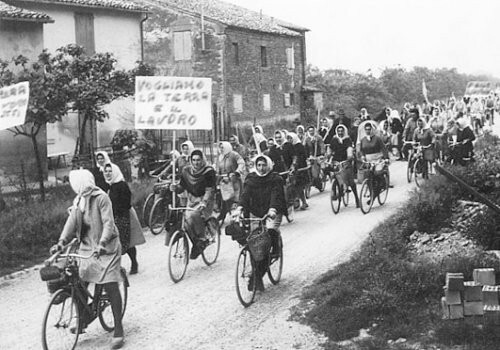 During the 1930s, there were around 20,000 inhabitants packed into the sassi, living in extreme poverty. There was no heat, no light and no sanitation, meaning that discomfort and disease were rife. 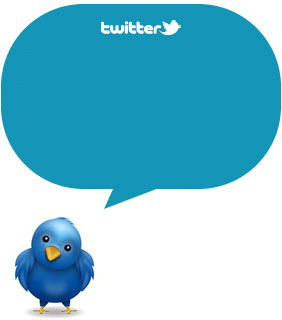 In a typical home, you could find 10 or 11 people and an assortment of animals living in just one cramped room. A revealing book which was written by Carlo Levi in 1935 really brought the terrible situation to light. Matera became a national embarrassment to Italy; it was an absolute abomination. With the 1950s came a government relocation programme, which left the sassi derelict and abandoned. During the late 1980s and 90s however, interest in these empty cave dwellings increased, and little shops, restaurants and chic cafes started popping up. Then came the UNESCO title in 1993, followed by Mel Gibson’s filming of the Passion of the Christ in 2003. From a horrific, shameful city to one of outstanding beauty in around 60 years? That should definitely put a visit to Matera on your to-do list. As you enter Matera from the newer part of town, make your way (on foot of course) along the Via del Corso towards Piazza San Francesco. 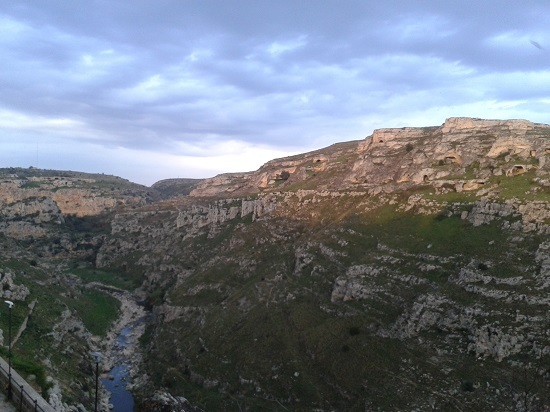 At this point, you will get a breath-taking glimpse at the stunning panorama that is historical Matera. This town is full of wonderful viewpoints, all of which offer a slightly different view of this prehistoric dwelling and the dramatic surrounding countryside. Grab hold of a map (which may or may not prove useful!) and get lost within the labyrinth of windy streets. A good, sturdy par of shoes is an absolute must here! Matera is well known for its churches, and as you make your way around, you will come across plenty of them. Make sure you pay a visit to the grand Duomo, San Pietro Caveoso and the Madonna de Idris, which is perched on a hill and offers the most amazing views. You can also explore the incredible hidden cisterns in Piazza V. Veneto and see some interesting sculptures at the MUSMA (Museum of Contemporary Sculpture). Enjoy a tasty ice cream from one of the many gelaterie and during the Spring and Summer months, take a seat at one of the many pavement cafes and enjoy the tranquil atmosphere of one of southern Italy’s most fascinating towns. 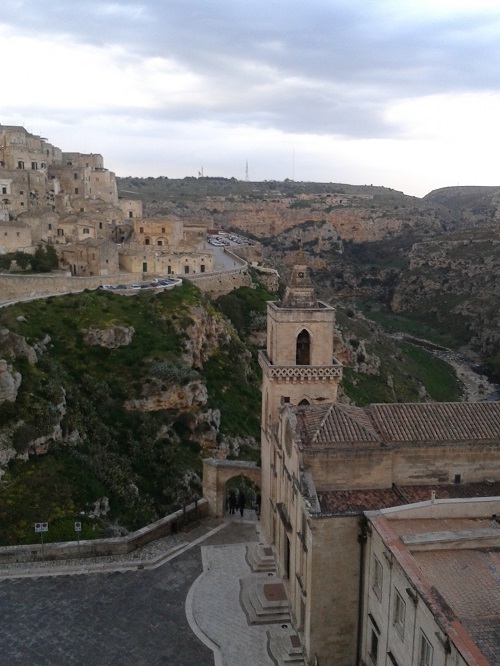 So, where should you stay in Matera? 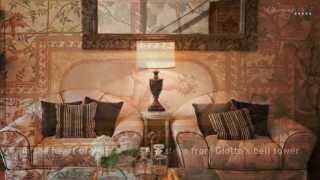 If you’re after some five star luxury, then Palazzo Gattini is the place to go. Located in the Piazza Duomo, this hotel is home to historical architecture, beautiful rooms and a renowned spa. 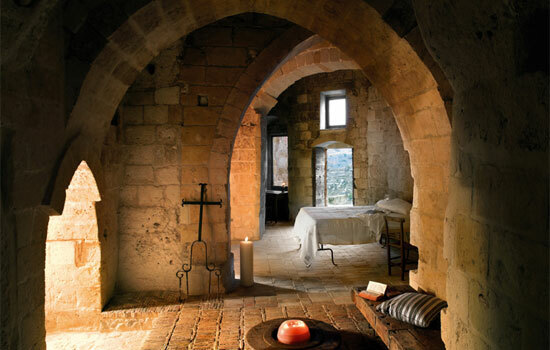 On the other hand, if you’d like something more ‘authentic’, then head the Le Grotte della Civita; a wonderful hotel within the sassi, which offers a simple yet unique accommodation experience.